Draft: 1999, Tampa Bay Devil Rays, 1st rd. Joshua Holt Hamilton…has four daughters: Julia Shea (March 14, 2001), Sierra Elise (Aug. 22, 2005), Michaela Grace (Aug. 14, 2008), and Stella Faith (Sept. 9, 2011)…graduated from Athens Drive High School in Raleigh, North Carolina in 1999, where he was a two-time winner of the North Carolina Gatorade High School Player of the Year Award…following his senior season in 1999, was named USA Baseball's Amateur Player of the Year and Baseball America's High School Player of the Year…in 25 games during that senior season hit .529 (37-70) with 20 stolen bases, 35 RBI and a school-record 13 homers while finishing 7-1, 2.50 (56 IP, 91 SO) as a pitcher…as a junior in 1998, he hit .636 (49-77, 12 HR, 56 RBI, 20 SB) and finished 11-2 as a pitcher (87 IP, 159 SO). Acquired in a trade with the Angels in exchange for cash considerations on April 27, 2015, Hamilton navigated three disabled list stints to post a .253 (43-170) average with eight home runs and 25 RBI in 50 games…had career lows in most categories, including games, HR, RBI, average and OPS (.732)…made 41 total starts: 33 in LF, 7 in RF, 1 as DH…his Texas debut on May 25 at Cleveland marked first ML game since Oct. 5, 2014, ALDS Game 3 at KC and first with Texas since Oct. 5, 2012, A.L. Wild Card vs. Baltimore…did not have a steal attempt for the first time in his ML career. Appeared in 89 games in his second season with Angels, batting .263 (89/338) with 21 doubles, 10 home runs and 44 RBI...All 10 of his homers came on the road...Hit .295 (52/176) with 12 doubles, five home runs and 26 RBI in 46 games before the All-Star break compared to .228 (37/162) with nine doubles, five home runs and 18 RBI after the break...Tabbed as the A.L. co-Player of the Week for the first week of the season after batting .500 (11/22) with two doubles, two home runs and five RBI...Marked third career weekly honors...Missed several games throughout the season due to injury...Missed 48 games (April 9-June 3) after having surgery to repair a torn ulnar collateral ligament in left thumb...Suffered injury April 8th at Seattle...Missed final 11 games of season and 21 of last 22 tilts dealing with a sore trap muscle, score AC joint, right rib cage and chest injuries (was not placed on DL)...Selected by fans as a finalist for the 2014 Marvin Miller Man of the Year award. Batted .250 (144/576) with 32 doubles, five triples, 21 home runs and 79 RBI in first season with the Angels…Posted career lows in average and OBP (.307)...Matched a career high in triples while the 32 doubles were most in a campaign since a career-best 40 in 2010...151 games played were second highest total of career (156 in 2008)... After batting .207 (57/275) with 25 RBI thru June 23 (72 G), went on to bat .289 (87/301) with 54 RBI the remainder of the season (79 G), including a .329 (56/170) clip over his final 45 games…His .329 average from Aug. 9 thru the end of the season ranked fourth in the AL...Finished the season riding a season-long 14-game hit streak... Hit .204 in April, .237 in May, .231 in June, .238 in July, .272 in August and .323 in September... Collected 1,000th career hit Sept. 27 vs. Texas in his 886th career game…Was the sixth active player with 1,000 hits and 180 home runs in first 900 career games, joining A. Pujols, R. Braun, T. Helton, A. Rodriguez and A. Soriano... Connected for fourth career walk-off home run and first as an Angel in the 11th inning July 6th vs. Boston…Hit his fifth career walk-off home run on Aug. 17 vs. Houston... Logged first hit as an Angel on April 4 at CIN…First home run came April 13 vs. HOU. Finished his fifth season with Texas batting .285 (160-for-562) with a 103 runs, 31 doubles, 43 home runs and 128 RBIs...Established new career highs in both runs and home runs...Third straight campagin and fourth of career with 25+ homers and 90+ RBIs...Played in 148 games, the second-highest total of his career (156 in 2008)...Ranked among AL leaders in several offensive categories including, home runs (T2nd), RBIs (2nd), slugging (.577, 2nd), total bases (234, 5th), extra-base hits (76, 4th) and runs (T5th)...Batted .308 (92-for-299) with 27 home runs and 75 RBIs in first half of season...Became just sixth player to record those numbers before All-Star break (1933-2012) and first since Alex Rodriguez in 2007 (.316/30/86)...Nominiated to his fifth career Midsummer Classic after receiving an All-Star record 11,073,744 votes...Started game in left field...Marked fifth consecutive All-Star game start...On May 8 in Baltimore, had a career day going 5-for-5 with a double, four home runs and eight RBIs...The four-homer outing was just the 16th in Major League history and first since Carlos Delgado's on Sept. 25, 2003, at Tampa Bay...Recorded 18 total bases in contest, joining Dodgers' Shawn Green (19 TB, May 23, 2002 at MIL) and Brewers' Joe Adcock (18 TB, July 31, 1954 vs. BKN) as only players to tally at least 18 total bases in a single game...Also homered in his final at-bat on May 7, giving him six extra-base hits in six plate appearances (2B, 5 HR), becoming first player to accomplish feat since Ken Griffey, Jr. on July 1-2, 1998 (3 2Bs, 3Bs, 2 HRs)...Tabbed as American League's Player of Month for both April and May after batting .395 (34-for-86) with nine home runs and 25 RBIs in April and .344 (33-for-96) with 12 homers 32 RBIs in May...Marked sixth time a player has won award in season's first two months and his second (2008)...Represented his fifth career Player of Month honors. Hamilton had another strong offensive season despitemissing 36 games with a fractured humerus bone in his right armearly in the year...posted 3rd career season of 25+ HR and 90+RBI, all with Texas, joining 6 other Rangers with at least 3 suchcampaigns: Juan Gonzalez (7), Rafael Palmeiro (6), Ruben Sierra(3), Alex Rodriguez (3), Hank Blalock (3), and Mark Teixeira (3)...led the A.L. with 20 game-winning RBI, tying team record andplaced among the league leaders in go-ahead RBI (T4th, 27), sacrifice flies (T3rd, 10), slugging (8th, .536), intentional walks (T6th,13), batting average (15th, .298), and RBI (16th, 94)...was 2nd onteam in slugging and batting, had the 3rd-most RBI, and was 4thin hits (142) and doubles (31)...started 81 games in left, 30 in center, and 9 as the DH. His regular season cut short due to an early Septemberinjury, Hamilton still led the major leagues in batting average (.359),slugging pct. (.633), and OPS (1.044) ... ranked among A.L. leadersin on-base pct. (2nd, .411), total bases (4th, 328), extra-base hits(5th, 75), home runs (T5th, 32), multi-hit games (T5th, 53), hits(T6th, 186), doubles (12th, 40), runs (12th, 95), and RBI (12th,100) ... established career high with 40 doubles and tied his careerbest in homers despite missing nearly 4 full weeks at the end ofSeptember ... entered the postseason having played one full gamein the outfield from Aug. 29 through the end of the regular season. Batted .268 with 10 home runs, 19 doubles, and 54 RBI over 89 games in his second season with Texas...missed 33 totalgames over a pair of disabled list stints, and also missed most of September with an additional injury that did not include a DL stay...inpart due to the injuries, posted the lowest average, on-base (.315), slugging (.426), home run, runs scored (43), and extra-base hit(29) totals of his 3-year career...had lines of .280/.352/.453 in day games, .264/.303/.418 in night contests, a turnaround from2008...hit nearly 100 points better on the road (.320) than at home (.226), although he hit more homers (6 to 4) and had more RBI(35 to 19) in Arlington...had a .314 (27-86) average with runners in scoring position and was 4-for-11 with the bases loaded...producedseason-high 4 hits twice, Aug. 13 at Cleveland and Aug. 25 at New York-AL...homered in 3 of first 4 games after return fromfirst DL stint, May 12-15...posted 3rd career 2-homer game on Sept. 1 vs. Toronto (G2). In his first season as an everyday player in the major leagues, Hamilton was voted as a starting outfielder in the All-Star Gameand led the American League in both RBI and total bases (tied)...batted .304 with 32 home runs, 130 RBI, and 35 doubles in his secondbig league season, his first campaign with the Rangers...led the American League in both RBI (130) and total bases (tied-331),joining Alex Rodriguez (2002) and Ruben Sierra (1989) as the only Texas batters ever to lead the league in those two categories ina season...led the A.L. in all 3 Triple Crown categories as late as through games of June 2, the first time for an A.L. player to leadthat late since Boston's Manny Ramirez in 2001...that year, Ramirez held the lead in those 3 categories as late as through games ofJune 3. Batted .292 with 19 HR and 47 RBI in 90 games for Cincinnati,making a team-high 64 starts in center field...also 9 starts in right and2 in left...made the Opening Day roster after batting .403 in springtraining...was acquired by Cincinnati in a 2006 Rule 5 Draft deal withthe Cubs, who selected Hamilton from Tampa Bay with the third pickand then traded him to the Reds for cash considerations...had the 2ndhighestslugging pct. (.554) among all N.L. rookies, trailing only N.L.Rookie of the Year Ryan Braun...had 2 stints on the DL: May 22-June3 with gastroenteritis (an infection or inflammation of the gastrointestinaltract) and from July 12-Aug. 11 with a sprained right wrist...alsomissed the last 17 games of the season with a strained right hamstringand a sore right wrist, but did not go on the DL...despite the low totalof games, still ranked among NL rookie leaders in HR (4th), walks (5th,33), OBP (5th, .368), extra-base hits (7th, 38), total bases (8th, 165),runs (8th, 52), RBI (9th), and doubles (10th, 17)...named N.L. Rookie of the Month for April...made ML debut on Opening Day, April2 vs. Chicago-NL, lining out to left as pinch-hitter...made first career start on April 10 at Arizona, batting leadoff and playing center...inthat game produced his first career hit, a 2-run HR off Edgar Gonzalez...was his first professional HR since June 29, 2002 forBakersfield at San Jose...had 4 hits and fell a HR shy of the cycle on May 5 vs. Colorado...suffered right wrist injury on July 7 vs.Arizona while swinging a bat in the on-deck circle...left game Sept. 12 vs. St. Louis with a strained right hamstring in what would behis last game of the year...was bothered by shin splints in spring training, but still ranked among N.L. exhibition leaders and led theReds in hitting (.403) and hits (29). On 6/2 was granted permission by Major League Baseball to participate in extended springtraining with the Devil Rays...had been suspended since 2/18/04 for violating the league's joint drug treatmentand prevention program...on 6/30 was granted permission by MLB to participate in minor league games andappeared in 15g for the Devil Rays' short-season Class A affiliate at Hudson Valley in the New York-PennLeague...were his first professional apps since 7/10/02 for Class A Bakersfield vs Modesto...spent mostof the summer working out at The Winning Inning, a baseball academy in Clearwater run by former minorleague manager Roy Silver...was rehabbing an injury to his left knee that had required arthroscopic surgeryin March. For the third straight year suffered a season-ending injury...sufferedinjuries to his left shoulder, left elbow, lower back and rib cage...on 7/18 had season-ending surgery to cleanup the frayed labrum in his left shoulder and to remove a bone spur in his left elbow (Dr. James Andrews)...despite arm injuries that limited him to just 8 apps in the outfield, for the third straight season was voted BestOutfield Arm in the Devil Rays organization by Baseball America...made 48 apps at DH...was selected to play in the California League All-Star Game despite appearing in only 38 of his team's 70g...hit at least .300 everyday of the season...recorded 4 hits on Opening Day...was hitting .346 through the season's first week before hewent on the disabled list with back soreness on 4/19...returned on 4/30 and in his first game produced another4 hits, then 8 days later went back on the DL with a strained rib cage muscle...was hitting .337 on 6/24 but went8-for-45 (.175) in his last 13g prior to the season-ending shoulder and elbow surgeries. In his first full professional seasonhit .302 with 13hr, 61rbi and 14 stolen bases in 96g at Class A Charleston...despite missing the last monthof the minor league season with an injury joined Asheville's J.R. House as co-Most Valuable Players of theSouth Atlantic League...was USA Today's Minor League Player of the Year...was Most Valuable Player of theSouth Atlantic League All-Star Game (2-6, 2 triples, 2 runs)...was TB's Minor League Player of the Month forApril (.448, 10 2b, 20rbi) and June (.400, 6 2b, 6hr, 18rbi)...his .448 average in April was the second-highestBA by any minor leaguer in any month of the season (Oklahoma's B.J. Waszgis hit .463 in April)...as theyoungest player in the All-Star Futures Game went 3-for-4 to help lead Team USA past the World Team, 3-2...in voting by Baseball America was named by field managers as the South Atlantic League's Most OutstandingMajor League Prospect, Best Batting Prospect, Best Power Prospect, Best Outfield Arm and Most ExcitingPlayer...was named the Top Prospect in the South Atlantic League and the Top Prospect, Best Power Hitterand Best Outfield Arm in the Rays organization...had a pair of 5-hit games, on 4/20 at Asheville and on 4/29vs Asheville...in a 5-game span from 4/20-4/24 went 17-for-24 (.708, 5 2b, 9rbi, 3sb)...on 4/28 beat Asheville,1-0, with a home run in the bottom of the ninth inning...put together a 16-game hitting streak from 4/19-5/6(.472), raising overall BA from .293 to .407...during that streak had two 4-hit games and two 5-hit games...on 6/7 vs Columbia produced his first career 2-homer game to extend his hitting streak to a career-high 17g(.380, 5hr, 14rbi)...the streak ended the next day...on 8/7 had season-ending arthroscopic surgery to repairthe torn lateral meniscus in his right knee...suffered the injury on 7/31 while chasing a fly ball. On 6/3signed his first professional contract and reported to Princeton in the rookie Appalachian League...hit .347with 10hr, 48rbi and 17 steals in just 56 apps before he was promoted to Class A Hudson Valley on 8/17...wasan Appalachian League All-Star and was voted by Baseball America as the league's Top Prospect...missedPrinceton's season opener with a severe case of food poisoning he contracted on the team bus heading fromSt. Petersburg to Princeton...was hospitalized for 2 days...made his pro debut in the second game of Princeton'sseason and went 2-for-5 with a homer and 3rbi to lead the Rays to a 10-7 win at Bluefield...singled in his firstprofessional plate appearance...hit safely in each of his first 6g, including 5 multi-hit games (.462)...hit safelyin 47 of his 56 apps for Princeton, including 16 of his final 18g...on 8/16 vs Martinsville fell only a single shyof the cycle...was promoted the next day...while with Hudson Valley helped the team win the New York-PennLeague championship by hitting .429 with 2hr and 8rbi in the post-season, all team highs. April 21, 2017 Round Rock Express released 1B Josh Hamilton. April 6, 2017 Round Rock Express placed 1B Josh Hamilton on the 7-day disabled list. January 17, 2017 Texas Rangers signed free agent 1B Josh Hamilton to a minor league contract and invited him to spring training. January 17, 2017 1B Josh Hamilton assigned to Round Rock Express. August 23, 2016 Texas Rangers released LF Josh Hamilton. April 30, 2016 Texas Rangers sent LF Josh Hamilton on a rehab assignment to Frisco RoughRiders. April 3, 2016 Texas Rangers placed LF Josh Hamilton on the 15-day disabled list retroactive to March 25, 2016. September 1, 2015 Texas Rangers activated LF Josh Hamilton from the 15-day disabled list. June 30, 2015 Texas Rangers activated LF Josh Hamilton from the 15-day disabled list. June 25, 2015 Texas Rangers sent LF Josh Hamilton on a rehab assignment to Round Rock Express. June 24, 2015 Texas Rangers sent LF Josh Hamilton on a rehab assignment to Frisco RoughRiders. May 25, 2015 Texas Rangers activated LF Josh Hamilton from the 15-day disabled list. May 21, 2015 Texas Rangers sent LF Josh Hamilton on a rehab assignment to Round Rock Express. May 16, 2015 Texas Rangers sent LF Josh Hamilton on a rehab assignment to Frisco RoughRiders. May 10, 2015 Texas Rangers sent LF Josh Hamilton on a rehab assignment to Round Rock Express. April 27, 2015 Los Angeles Angels traded LF Josh Hamilton and cash to Texas Rangers for Player To Be Named Later. April 5, 2015 Los Angeles Angels placed LF Josh Hamilton on the 15-day disabled list retroactive to March 27, 2015. Recovering from February 2015 right shoulder surgery. June 3, 2014 Los Angeles Angels activated LF Josh Hamilton from the 15-day disabled list. May 22, 2014 Los Angeles Angels sent OF Josh Hamilton on a rehab assignment to Salt Lake Bees. April 9, 2014 Los Angeles Angels placed LF Josh Hamilton on the 15-day disabled list. Torn ulnar collateral ligament and capsule in left thumb. December 15, 2012 Los Angeles Angels signed free agent LF Josh Hamilton. 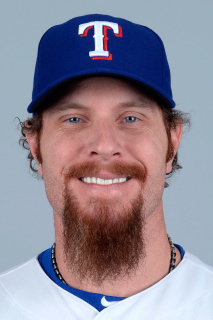 November 3, 2012 LF Josh Hamilton elected free agency. May 23, 2011 Texas Rangers activated LF Josh Hamilton from the 15-day disabled list. May 20, 2011 Frisco RoughRiders sent LF Josh Hamilton on a rehab assignment to Round Rock Express. May 18, 2011 Josh Hamilton assigned to Frisco RoughRiders. July 6, 2009 Texas Rangers activated LF Josh Hamilton from the 15-day disabled list. July 1, 2009 Frisco RoughRiders sent CF Josh Hamilton on a rehab assignment to Oklahoma City RedHawks. June 29, 2009 Josh Hamilton assigned to Frisco RoughRiders from Texas Rangers. June 1, 2009 Texas Rangers placed CF Josh Hamilton on the 15-day disabled list. May 12, 2009 Texas Rangers activated CF Josh Hamilton from the 15-day disabled list. May 10, 2009 Texas Rangers sent CF Josh Hamilton on a rehab assignment to Oklahoma City RedHawks. May 1, 2009 Texas Rangers placed CF Josh Hamilton on the 15-day disabled list retroactive to April 27, 2009. Straned left intercostal muscle. April 27, 2009 Josh Hamilton roster status changed by Texas Rangers.